The challenge of presenting a compilation of rare music and 7” singles is making anyone, other than the hardiest fan, thirsty for the adventure. 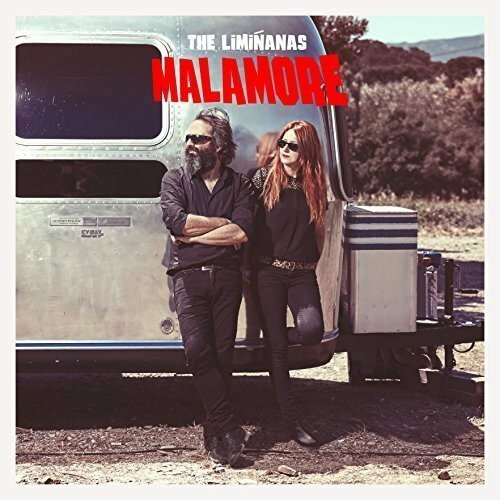 Yet, The Limiñanas cover a lot of territory and I’ve Got Trouble In Mind Volume 2 (the first was released in 2014) is like a thorough survey of the band’s talents, weaving 60's French pop, spaghetti western vignettes and psychedelic droning. The vocal technique borrows much from the recitative style of Gainsbourg, complimented by sweet female harmonies akin to Francoise Hardy, for instance. In fact, the mischievous confections of Gainsbourg that sound uncomfortably deviant from time to time can also be found in the music of The Limiñanas. On this collection, as I’ve said, there is great variation.’Two Sisters’ is a Kinks cover in collaboration with Anton Newcombe who shares an interest in 60s pop hooks. This little nugget is perfectly adapted to his droll vocal and ambulant guitar tempo, though the stomping beat and sci-fi sounds add substance and physicality. ‘Maria’s Theme’ could have been lifted from a Morricone western if it were played out at a more ambiguous border, such as that which exists in Perpignan, France, where The Limiñanas hail from, just near the border of Spain. A sauntering whistle connotes both a laid-back vibe and an air of damnation. A trumpet plays a plaintive tune, a narrative for conjecture about hope and fate. ‘The Inventor’ is a crafty little spy number that would be purely satirical were it not for the extra layers of warped guitar, and a constant broadcast of female voice that I’m sure is meant to mean something but I was too busy getting into the groovy vibe to discern it. ‘The Train Creep A-Looping’ is a whirling psychedelic nightmare that should appeal to fans of shoegaze. Echo and The Bunnymen fans will be curious to hear the cover of ‘Angels and Devils’. In place of Ian McCulloch’s soaring voice comes a more unrushed, and almost languid 60's psychedelic treatment. Not too bad but fairly dispensable. Best tracks on here are the aforementioned ‘Maria’s Theme’ and ‘The Inventor’, the cruisy French cool of ‘Nuit Fantome’ where the Jonestown sound blends effortlessly with the French pop tradition, the garage sounds of ‘Witches Valley’ recalling The Seeds, with a cute little piano figure which drills into your head, the banjo shenanigans and warped headspin of ‘Wunderbar’ and the trippy straggler ‘Lord of Flashington’. The Limiñanas wish everyone a Merry Christmas with their version of ‘Silent Night’, which turns out to be Christmas on the borderline, where it all started for Marie and Lio.